bro i really love this bot it's almost perfect just one thing your discord invite link does not work anymore i had a bug report i mean i dont know if it is a bug but it doesnt pick﻿ up the rune kiteshield! 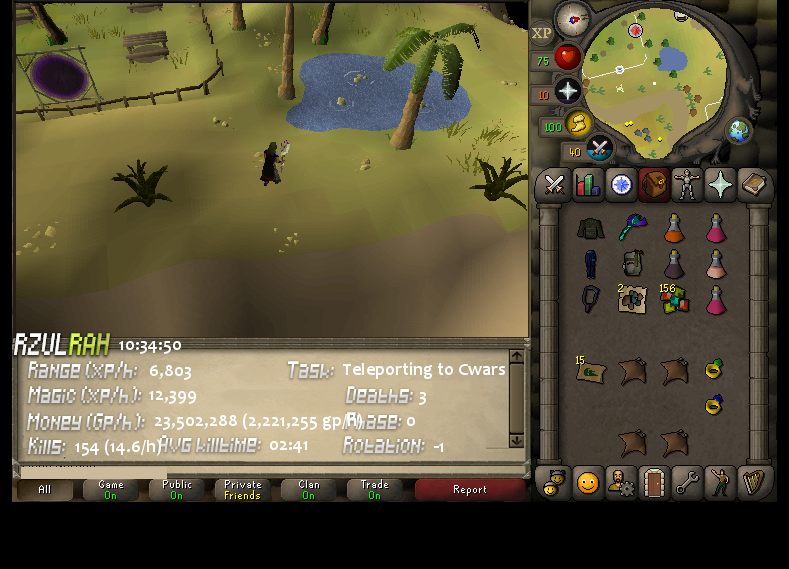 Yh i need to add rare drop table still :P. I'll have it added by today! ah oke thnx! I did not do that. dammm its about time you made this!!! thanks alot will spend the rest of my day using it! i use range only, is it possible to do this? great thanks, i cant actually get it to work though. i am at the clan wars chest. after taking stuff out it closes bank and will not move. just had an issue where after clicking finish on settings menu, the cursor was just kind of shaking around and not doing anything. will keep trying probably something wrong on my end. that is where i get stuck everytime. withdraws the stuff then that. sorry how do i do that? BTW monk fish doesn't work with the script. I think it's looking for "Monk Fish" and not "Monkfish" which is the correct name. It kept banking and going to my XP screen. Would be a easy ban if i left it on. 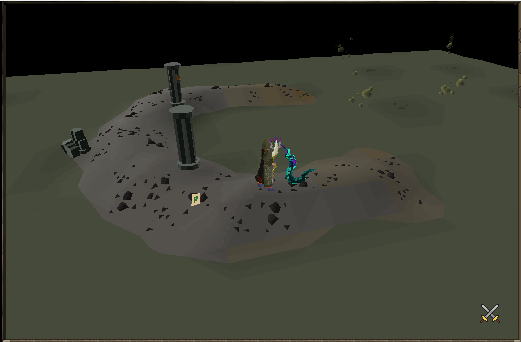 Damn... it almost killed zulrah but ended up dying on the first go. How does it teleport when you are about to die? Does it use ring of dueling? Wished there was house support. I'm also using ring of suffering just for convenience for the bot. Works pretty well though. Also support for imbued heart would be awesome. Would really speed up the kills. Augury and Rigour support would really speed up the kills as well if you have house support to reset your prayer. Wished there was house support. I'm also using ring of suffering just for conv﻿enience for the bot. Works pretty well though. Augury and Rigour suppo﻿rt would really speed up the kills as well if you have house support to reset your prayer.